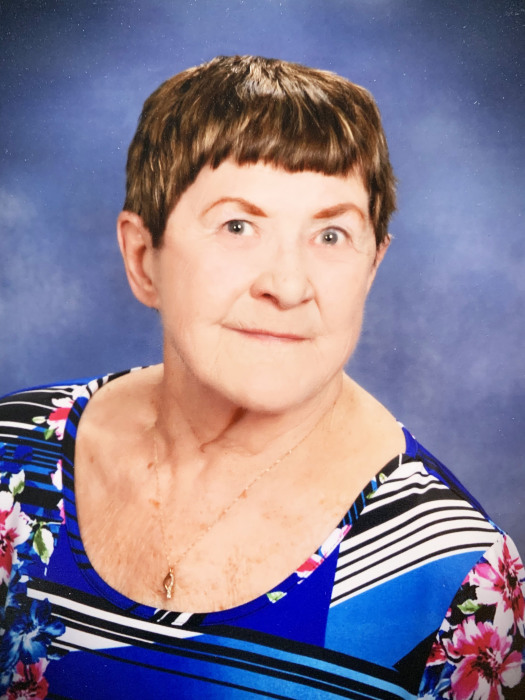 Mary Ann Nelson died April 4, 2019 at Mayo Clinic Health Systems in Albert Lea. A memorial service is set for Saturday, April 20, 2019 at 11:30 am at First Lutheran Church in Albert Lea. Friends may greet the family from 4:00 – 6:00 pm on Friday, April 19, 2019 at Bonnerup Funeral Service of Albert Lea. The visitation will continue one hour prior to the funeral service at the church. Burial will be at Fort Snelling on April 22. Mary Ann was born May 31, 1936 in Bricelyn, MN to Otis G. and Olive R. (Lura) Johnson. She was baptized, confirmed and attended school in Bricelyn. She married Art Hedum in 1954 and this union brought five children. The couple later divorced. Mary was a homemaker for her family while they were young. In 1973, Mary was united in marriage to Vic Nelson. Mary and Vic were the owners of the Elbow Room for 46 years. Mary was instrumental to the success of the restaurant, cooking both those famous burgers and daily specials. Mary was an important member of the community and poured her heart and soul into the restaurant by supporting Vic behind the scenes. The Elbow room was voted the best hamburger in Albert Lea the past 10 years. Mary was a member of the Elk’s, Does, Moose Lodge, Eagles, V.F.W. and American Legion Auxiliary, and several committees at First Lutheran Church. She enjoyed serving breakfast and supper to confirmation students. Mary enjoyed playing bingo, selling pull tabs, shopping at Herbergers, watching her soaps, Jeopardy, and Wheel of Fortune. She also enjoyed girls’ weekends and time spent with family and friends not to mention she loved an occasional holiday craft. Mary is survived by daughters: Vicky (Charlie) Austin of Le Center, Sheila (Jim) Hansen of Glenville, Cheryl (Dave) McDonnell of Chaska, and Mary (Bert) Burlingame of Apple Valley and sons: Mike (Jessica) Hedum of London, UK and Mark (Mary) Nelson of Las Vegas, NV. She is also survived by 12 grandchildren and 12 great-grandchildren. Additional survivors include her twin sister Margaret Courrier of Walters, MN; sisters-in-law Valoris Johnson of Red Wing, Darlene Johnson of Bricelyn, Ann (Eugene) Dienst of Colorado, Marie (Gary) Kedziora of Eagan, Carol Lynn (Richard) Watts of Owatonna, Marian Bebeau of Mpls, and brothers-in-law Elmo Hedum of Albert Lea and Lee Hedum of Marshalltown, IA. Mary was preceded in death by her husband Vic, granddaughter Bridget Burlingame, parents, sister Bonnie Joy, brothers Roland, Dale and Richard Johnson, brother-in-law Orville Courrier, and former husband Art Hedum. In lieu of flowers, memorials may be directed to Peace and Power at First Lutheran Church in Albert Lea. Arrangements are being handled by Brick Meger Funeral Home.